DROP-STOP is a modern impact drift eliminator of the for the separation of liquids from aerosol. • Gas washing and /or adsochers. • Dehumidications of gases and/or vapor. • The gas stream flows in through the module regularly, without turbulence and at uniform speed. • There are no preferencial ways. • It is advisable that the drift eliminator be easily removed for control and maintenance operations. • Dimensions and concentration of drops at the entrance of the module. 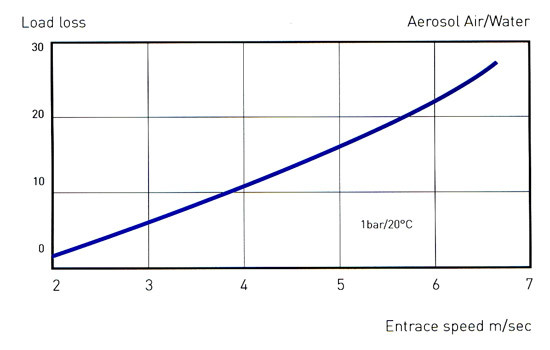 • Temperature and viscosity of the phases which compose the aerosol. • "Maximum capacity" or "entrance speed" for the loading of the module. For air/water aerosol at ambient temperature and pressure, the efficiency of the drift eliminator is shown in the diagram. 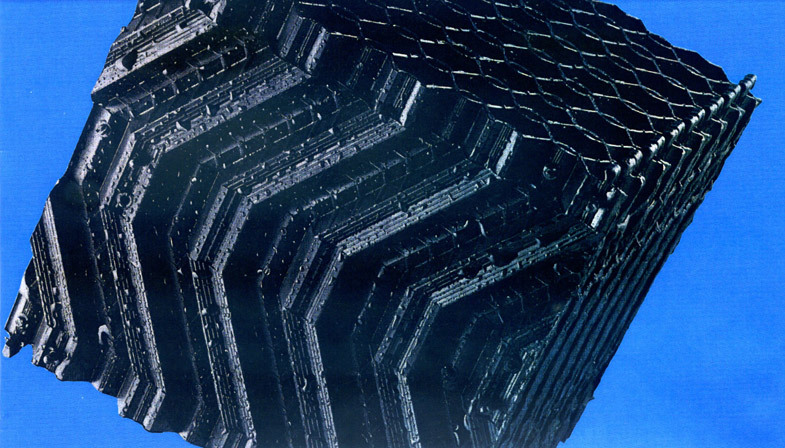 A "mormal" target is to keep drops with a diameter equal or smaller than 50 micron. In this case the water leak in the liquid phase is moer or less 0,4 - 0,5%. (per thousand) of the useful water flowrate for air washing. That is what happens provided the device is correctly installed. 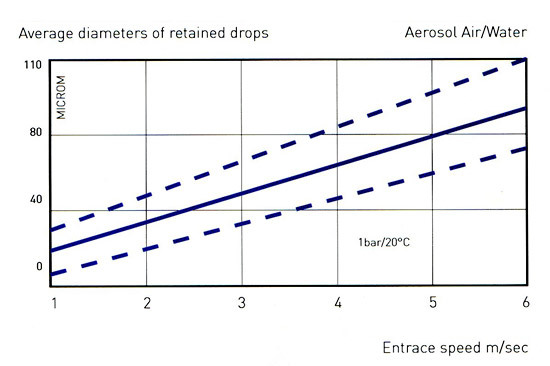 The diagram shows (with ± 15% tolerance) only DROP-STOP drift eliminator load losses. Load losses due to other causes are not included (tower and pack container geometry)..